If you spend your days staring at your small dashboard, losing hope for CB, worry not. You already know that Small CB radios are designed specifically to address these desires. 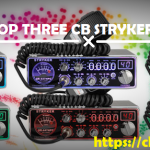 I know you’re one of those CB users who’s searching for a good small CB radio in the market. A Compact CB radio will help you experience top-notch reception, driving your mini car in town. You can enjoy affordable and best small CB radios after easy installation and set-up on your dashboard. The CB radios I’m going to introduce to you will be most beneficial to cars and motorcycles. Worry not, we have the solutions for you! 1 What Could Be the Benefit of Compact CB radios? What Could Be the Benefit of Compact CB radios? Before shifting to CB radio shopping, let’s discuss the benefits of Compact CB radios. 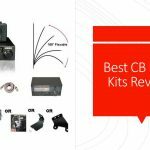 Following list provides you some of the reasons why buying CB Radios is not a risky job in the radio world. No More Space Issue: If you are a CB enthusiast with space issues, compact CB radios are the best choice. You can easily install your radio in a cluttered dashboard and feel proud while retracting the mic’s cord. Safe from Theft: If you have parked your car in a shady area, you can take out your detachable CB radio with you. After shoving it on your palms, no wonder you can save it from theft. No Compromise on Quality: Even though the compact radios may seem small, they do not compromise on performance. You can enjoy its quality reception while driving in your small space car. 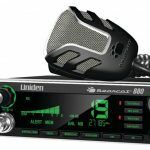 We’ve searched for great CB radios for smaller spaces to solve your problems. Following is the list of some best CB radios to look for if you want mini CB radios. This Cobra CB radios are one of the best CB radio manufacturers. This product has 10 NOAA Weather Channels. This also has 40 CB channels like all others CB radios. It gives you great experience by offering compactness in CB radio which makes it ideal for the places with space constraints. This also provides clear transmissions. Good thing is, it has sound tracker system and so, the reception is less bothered by the noise in surroundings. It’s designed perfectly to help you carry it easily in your hand. You can instantly access to channel 9 and 19 with dual-watch and channel scan. It has 4-channel programmable memory locations. This is a great CB radio for your car. With Remote Mount System, you can easily install it on your car’s dashboard. Because of illuminated LCD, you don’t need to search for a flashlight to read the screen in the dark. This CB radio is easy to install and operate while you drive in your car. You wouldn’t be worrying about feeble sound as it gives a good loud sound and reception. It also has external speaker feature. The CB radio is easily detachable and does not cram your dashboard. It fits perfectly in your hand and carry it with you in the street. You need to safely place the base closer to antenna cable of your CB radio. The reason is that the base of this radio has a small cable attached to it that is associated with mic detachment connection. This U.S. FCC regulated CB radio with 40 Channels has 4watt audio output and the microphone mounted at the front. This fore-positioned mic comes with a long coiled cord to add flexibility and comfort to this radio system. For greater control, this compact radio makes use of superheterodyne circuit or in more simpler words, phase-locked loop. The great part related to its reception is that it has built-in automatic noise limiter. The auto-squelch service, also available in radio, enhances the communication quality by eliminating noise in the surroundings. Also includes Signal/RF meter and LED indicators for monitoring signals and activities. This product from Uniden also provides channels 9 and 19 to get connected to both the truck and emergency world when needed. 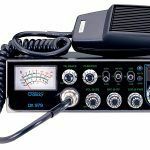 You can buy this CB radio for your pickup trucks without any doubt. With the help of PA/CB switch, you can quickly shift to PA mode in to use an external speaker. Because of its compact size, you can fit it in cramped places or smaller areas. This product comes up with a great package like great VSR and a great output speaker. RF gain control is very useful when your surrounding is buzzing with noise. Excellent in terms of price without any compromise in the quality. 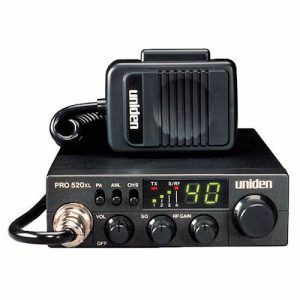 This small CB radio is highly compact to make the most of your small car. It is also one of the best recommended CB radio for motorcycles. Comes with 40 channels, it provides a power output of maximum 4 Watts. With available Channel Scan feature, all 40 channels are checked automatically to monitor all activities. The scanning takes place for 5 seconds for each channel. This amazing product also comes with the memory feature, allowing you to store top five favorite channels for instant access. It also comes with a smart feature that allows you to switch to the last channel you had tuned to before powering off. ANL feature built into your system improves reception, whereas squelch control eradicates the noise from the background. This Midland 75-822 CB radio gives you a multifunctional backlit LCD display. At any time of the day or night, you can read the display easily. This also comes with locking feature with which you can lock your settings. You won’t be replacing your favored configuration by mistake, zoning out in your vehicle. One comfortable thing about this product is that it provides an external headset jack to enable hands-free mode. This compact radio is user-friendly and demands easy installation, providing easy use. 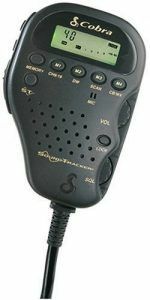 If you’re someone that fascinates CB radios but suffers from small spaces or wishes to take the radio with you everywhere, buy Compact CB radios. The truth is that you will easily get top quality compact-sized CB radios in the market which deliver great output. 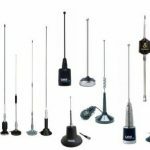 As a matter of advice, I would like to add that you should make sure you get a short CB antenna for the best outcome. Trust us, it won’t be a bad choice to get small CB radios. They’re the handiest ones when it comes to motorcycles and cars. They’ll guarantee you loud and clear reception with excellency in user-friendliness. Let us know what you feel once you make the purchase. We’re looking forward to hear from you!